Current U.S. school reform efforts link school success, student achievement, and teacher performance to standardized tests and narrowly prescribed curricula. How do test-driven, mandated curricula in urban school systems overtly and subtly impact teachers’ efforts to provide technologically advanced, challenging classroom environments that foster literacy development for all students? How do these federal policies affect instruction at the classroom level? The premise of this book is that, in order for teachers to confront and/or counteract the pressures placed on them from these policies, it is necessary to first understand them. 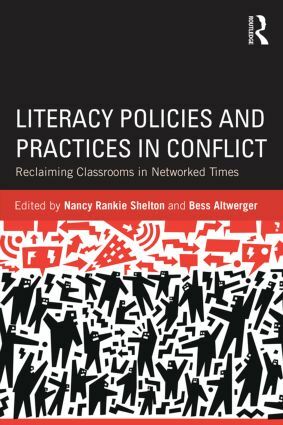 This book takes a close look at the tensions that exist between federal mandates and contemporary literacy needs and how those tensions impact classroom practices. Providing a clear sociopolitical overview and analysis, it combines theoretical explanations with examples from current ethnographic research. Readers are challenged to (re)consider whether meeting test performance benchmarks should be the hallmark of school success when the goal of test performance supersedes the goal of producing highly literate, productive citizens of the future. Federal Education Policy: Roadblock or Reform?